Relax in the heart of the Donegal Gaeltacht on the Wild Atlantic Way, in the quaint village of Annagry where a warm welcome awaits you all year round. 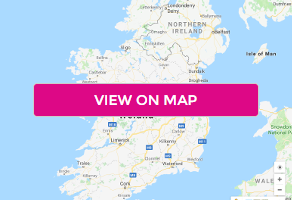 Situated in the Irish-speaking region of Annagry in County Donegal, Caisleain Oir Hotel is just 1.2 miles from Donegal Airport, as well as Carrickfinn Blue Flag Beach. Local activities include surfing, diving and golfing. Guests benefit from free parking which is available on-site. An en suite bathroom, TV and tea/coffee making facilities are provided in each Caisleain Oir room, and some feature sea views. An à la carte menu with a selection of meats, poultry and seafood is available in the hotel restaurant, and guests can also relax in the bar and lounge which offers live music at the weekends. Gleanveagh National Park, the second largest national park in Ireland, can be reached in a 20-minute drive and offers guided walks and an array of wildlife. This property also has one of the best-rated locations in Annagry!